Thrillmatic, featuring an ultra-charged camber mixed with a medium flex and resulting in a poppy board. Wassup, this one will adopt a new camber and shape for this season: flat rocker instead of an inverse camber for better edge hold at high speeds. T.9.I.D. everyone is doing twin boards with a retro directional shape. We did it in 2014. 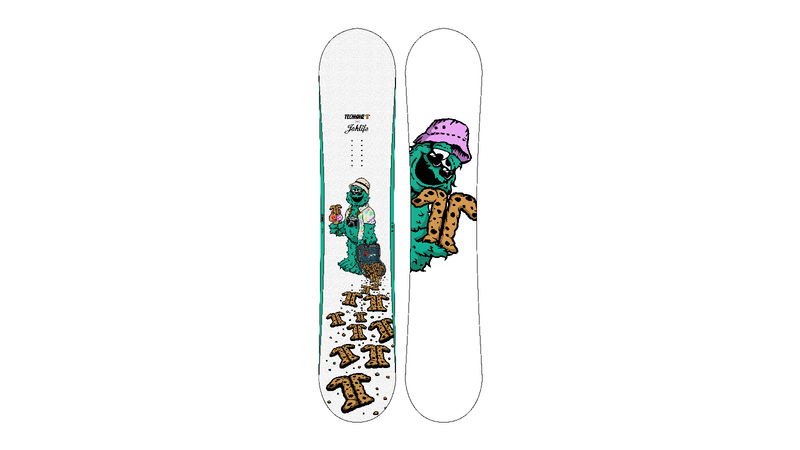 Now our “weird shaped” board is the T9ID, with a twin shape, long and soft tips and a stiffer mid flex for pop. The all-round fun board for park, groomed terrain or even powder. Construction. This is the place where you can talk to us about the new ingredients in your boards, and how you are putting them together differently. We’re interested in anything new in inserts / edges / cores / sidewalls / glue / wood types / base material etc here. Nothing new, our recipe is simple and it works. The only improvement is a real wood top sheet for the T9ID. Where are you building, what factory in what country? What makes this production facility the best solution? We build bindings 100% in-house and boards in China; we have a longtime partnership with a factory that makes quality products and helps us to solve our problems. Middle price for sure. 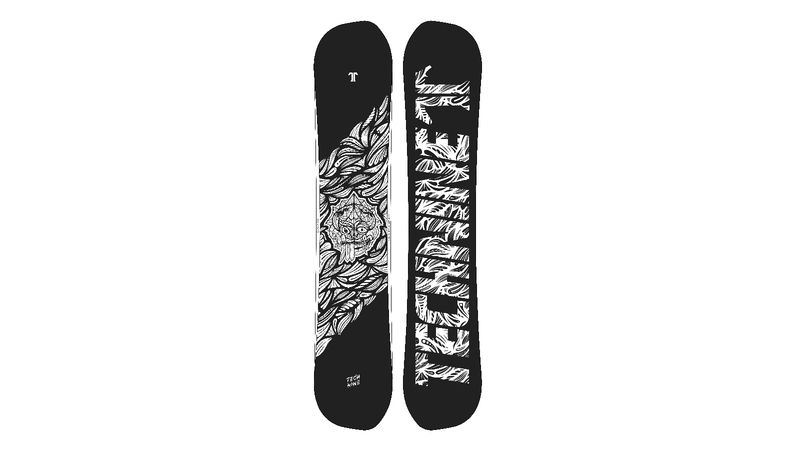 Customers now want a good board/binding/outerwear for a fair price. How long is your warranty, anything new? The market is getting used to unusual shapes. Doing anything unseen next year? Asym/double swallow/reverse sidecut etc? T9ID shape is our non-classic one. We can also mention the 420 hammerhead featuring heavily square tips. We’re interested in graphic themes that run through your line. What is your art department feeding you for next year? Flashy, muted, landscapes, patterns, photos, what? 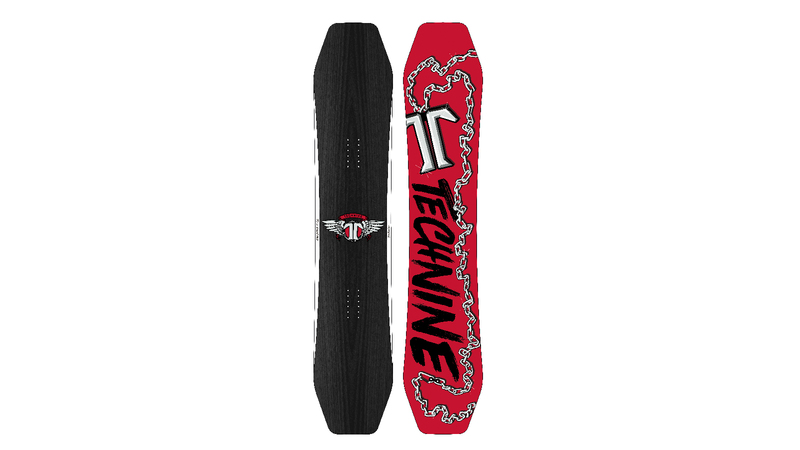 Technine has its style. We have different themes each board and every collection is driven by a common thread: for 2019 it’s the travel. An improved global team, sponsoring of many video projects and bringing together our global team.